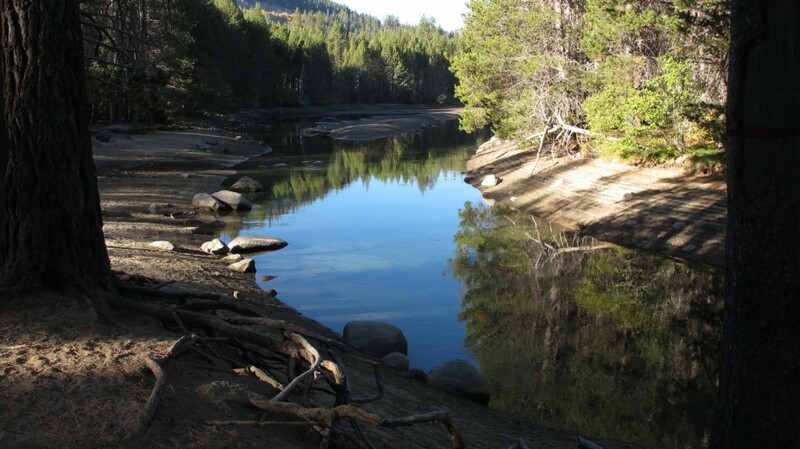 Enjoy this quick 2.3 mile out-and-back trail run along Donner Lake when you just have a short time to get out. 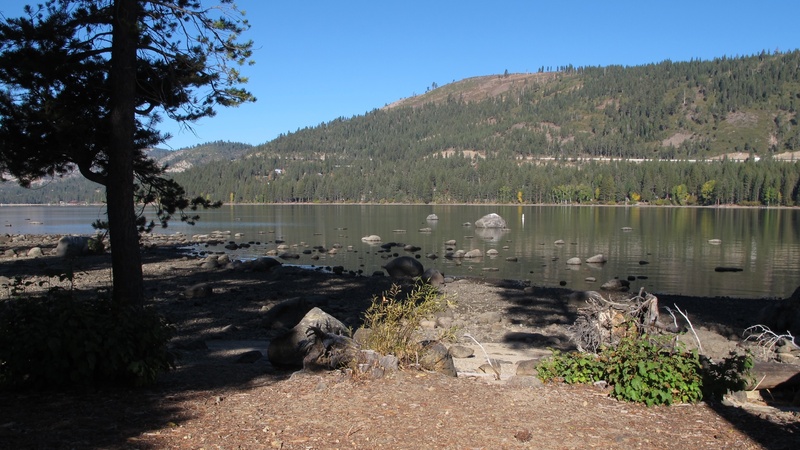 The new “Lakeshore Interpretive Trail” is about 1.15 miles of crushed granite trail along the east shore of Donner Lake in Donner Memorial Park. From Truckee, drive west on Donner Pass Rd. Continue past the Truckee schools and cross over Interstate 80. Go straight through the four-way stop light. Continue about 1/3 mile on Donner Pass Rd., past the official entrance to Donner Memorial State Park. Find head-in parking in the dirt on the left. Choose a parking spot here and walk west if necessary to an opening in the split rail fence (see photo above). 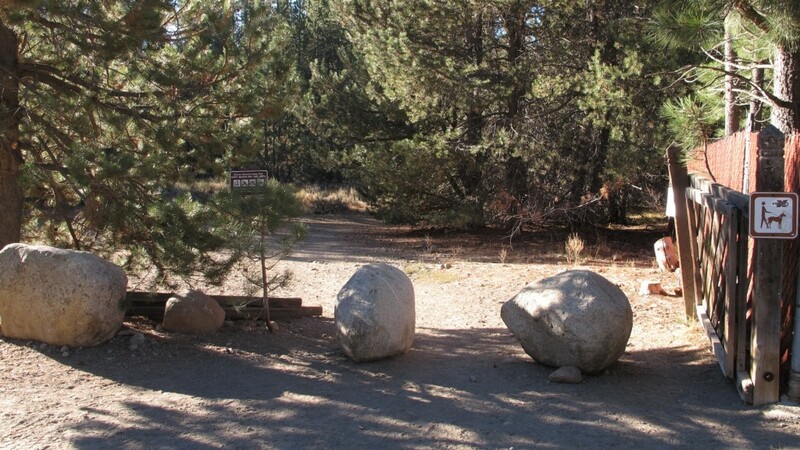 Click here for an interactive map and GPS data for the Donner Lake Memorial Park Interpretive Trail. From the trailhead, run on the wide dirt trail and stay left at both trail intersections until you reach the dam (short bridge). Cross the dam and find the crushed granite trail immediately to the right. Stay on this path (staying right) to its end, then turn around and come back the same way. There are a number of restrooms along the way and at the end of the trail. If you have more time and energy to explore, you can run on road or trail through the Donner Memorial Campground – click here for a map of the Lakeshore Interpretive Trail. You can also do the 7-mile road run around Donner Lake – click here for route info to run around Donner Lake.